In 2011, over 21.5 million kids between the ages of 6 and 17 registered for team sports. According to the National Alliance for Youth Sports, 70% of those children will drop out of sports by the age of 13. Sports are a fun way for kids to stay active, make new friends and learn invaluable lessons, so why are they dropping out? When you were a kid, do you remember wanting to join soccer because of potential college recruiting and scholarships? No, you were too young to worry about that boring adult stuff. You wanted to play because it was fun. According to a study for George Washington University, the number one reason why kids want to join sports in the first place is because it's fun. For kids, having fun during the game is more important than winning. As soon as it's no longer fun, young athletes are going to walk away. It makes sense from an adult's prospective too. Parents are not going to continue spending money on a sport the kid is no longer enjoying. School comes first. Always. There's no questions about that. When kids transition from elementary to middle school or middle to high school, inevitably, the school work load increases. Some kids truly struggle with the school-sports-life-balance and prioritizing their workload in favor of better grades. Everyone loves the feeling of winning (ask Charlie Sheen), but in the world of youth sports, it's not everything. Despite our best intentions, our competitive spirits unknowingly instill a "winning ego" in our children. Coaches and parents who keep a running tally of every mistake and action can create a culture where winning is the only thing that matters. This includes the post-game car ride home. This is where many parents over analyze and talk about what could have, should have and would have happened. Great players don't fear their mistakes, they learn from them, right? Not quite! The over-enthusiasm takes away attention from what actually matters to the athletes...FUN! With this added pressure to perform, youth athletes are more afraid to make mistakes for fear of being scrutinized, benched or embarrassed in front of their peers. Kids join sports because they want to play and they love the games. The outcome of the game doesn't matter as much as to them just playing. If they get pulled out after making a mistake or don't get to play meaningful positions because they are not as good as other players, they are going to feel defeated and embarrassed. Not to mention, it will not encourage them to try harder - they've already given up the idea of doing their best. This may sound bold, but if your little athlete wants to quit, let them. Yes, you have invested time and money into supporting them in their sport. But you don't want to pressure them into something they are going to be miserable doing. Encourage them to find an interest that they do enjoy. Kids are constantly learning about themselves - what they like and what they don't like. It is important to teach them to tough it out when things get difficult, but it's also important to allow them to try new things. For younger athletes, this may end up being another sport they like better, or an activity that's not even related to sports, like robotics or theater. Starting your athlete in a sport at a young age will give them an advantage in that sport in terms of skill and agility. But it is important to remember that they are still very young and they have time to grow into their skill set. 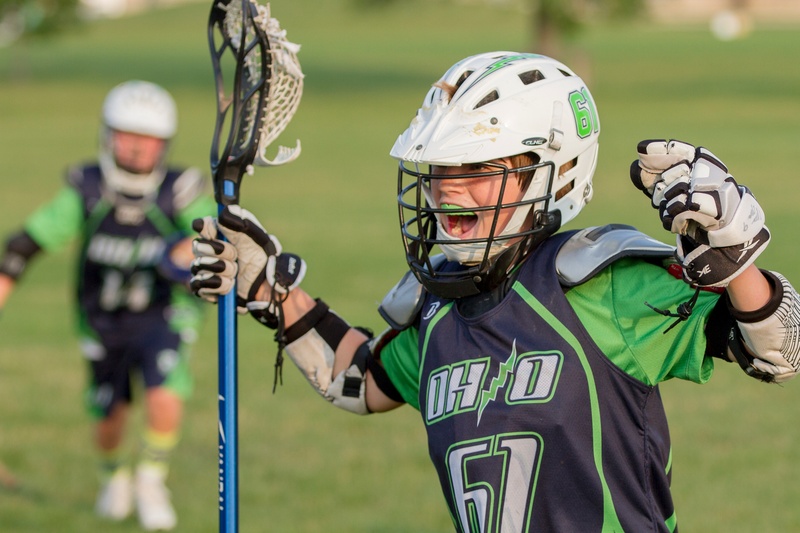 Setting unrealistic expectation discourages 70% of youth athletes from sticking with sports and it is important to keep their head in the game and have fun doing it.